Widely regarded as one of the best hikes in Eugene, this 1.7-mile trail is located just outside the city and is pet friendly. Bring your best gear and dog anytime from May to September for the optimal hike. With amazing views, moderate difficulty, and an easy, looping trail, the Spencer Butte trail makes it easy to see why this is a beloved hiking spot. While it’s one of the busier hiking trails, you don’t want to miss the Mount Pisgah Trail. This four-mile loop has a panoramic view of the Willamette Valley and a bronze sculpture of the topography. 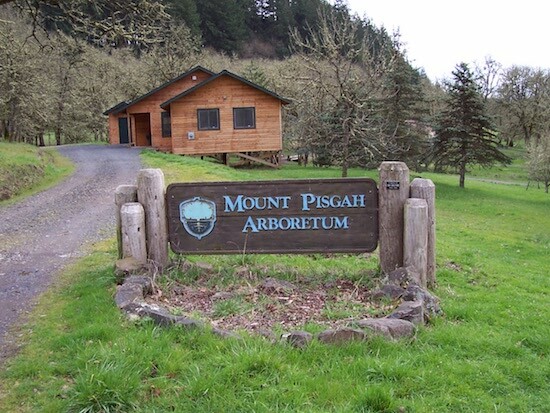 Take the trip around the trail and end at the Mount Pisgah Arboretum for a 209-acre living tree museum. The ideal hiking time starts in March. This looping trail adjacent to the Willamette River is a great option for University of Oregon students. Just across the river from campus, this trail has great views of the river and city. Pre’s trail is also home to Pre’s Rock, a shrine to Olympian Steve Prefontaine who died at the age of 24 in a car crash at this spot. Accessible through Alton Baker Park, this trail, originally designed by a track star, is a great location to get in an outdoor run. Source: Image of Pre’s Rock courtesy of Cacophony. This out-and-back trail is one of the longest on our list at 9.1 miles. Despite its length, it’s one of the easier hiking areas, features endless wild flowers, and is easy accessibility year-round, making it a great option for someone looking to explore the Oregon outdoors. With a large fan base of dogs, you’ll be sure to meet some furry friends on this trail. This easy trail at Hendricks Park is 1.7 miles long and has a plethora of wildflowers to enjoy. 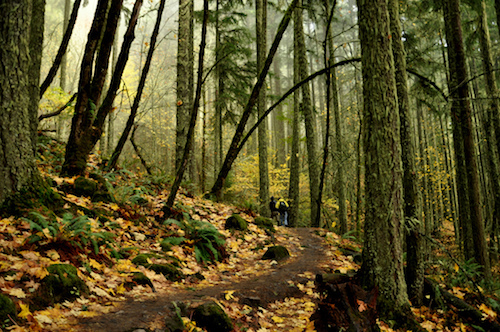 The trail starts less than a mile from the University of Oregon campus, making it an ideal treat and escape from college stress. This newbie-friendly trail is just less than three miles long with a low altitude, making it ideal for those new to hiking outdoors. Take advantage of its easy and quick trail while checking out the views of the Willamette Valley. Get a peek at downtown Eugene from the top peak of this trail.